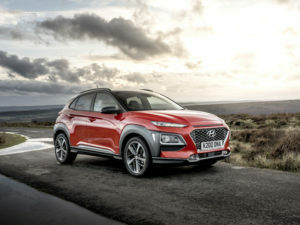 Hyundai has launched the Kona 1.6 CRDi diesel alongside the existing petrol models and forthcoming electric variant as it reports continued demand for clean diesel engines. On sale now, the Kona diesel uses a new 1.6-litre Euro 6d TEMP compliant unit offering 113bhp with a six-speed auto or 134bhp with a seven-speed dual-clutch transmission. CO2 emissions stand at 111g/km and 114g/km respectively with official combined fuel consumption of 67.3mpg and 64.2mpg, and both models are available in SE, Premium and Premium SE trims. Prices start from £19,750 for the lower-powered manual version in SE trim – this compares to £16,450 for the entry-level 118bhp 1.0-litre T-GDi manual petrol in the lower-specced S trim.